Warehouse Arts District Association - THE CHEATERS, 3 Daughter'S Brewery & Art !! 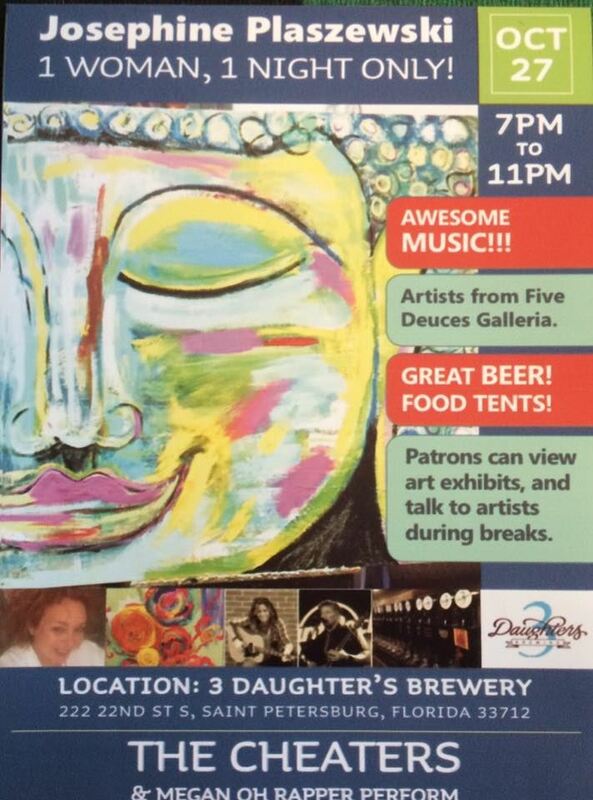 THE CHEATERS, 3 Daughter'S Brewery & Art !! Join member Josephine Plaszewski in showcasing her one woman show. Opening in the white building, all of the many talented artist who also work from the Five Deuces Galleria, will open so you can check out all the studios & meet the artist. The cheaters are gonna play!!! !